"I am very impressed with the result from Train the Trainer. The big thing is how our trainers can now express their knowledge and put it across to someone new to the subject." "As with any manufacturing team we have a wide range of characters, who through the training process have been catered as individuals and pitched at the correct level of detail to keep everyone interested and confident as trainers." "The trainers were enthusiastic and made me feel at ease. Possibly two of the best trainers I've had for a long time." "The trainer is very knowledgeable. Put us at ease. Very friendly environment. 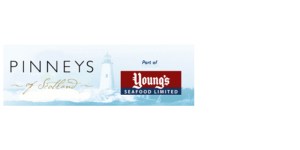 All questions were answered, we were encouraged to fully participate." "This has been an invaluable experience as it has taught me to apply my skill and adapt it to suit an overall objective. I feel more comfortable and optimistic about my future preparations and how my skills might be valued." "Really enjoyable. Gave me some insights that I had previously been unaware of." "The course was ideally suited and helped me to refresh on some points and develop awareness and new skills in others. The course will be invaluable in helping me with my role back in the workplace." Our training and qualifications for trainers are designed for specialist trainers as well as employees, perhaps supervisors, who need to be able to train their team members as part of a range of tasks they are responsible for. We can offer short intensive training courses leading to recognised qualifications such as our ‘Institute of Leadership & Management Train the Trainer’ accredited qualification as well as vocational units from the Scottish Qualifications Authority, and full SQA Learning and Development Awards at Level 3 and Level 4. 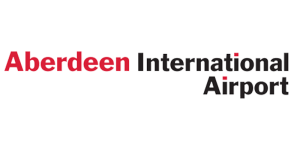 We have been working with Aberdeen International Airport since 1998, and we continue to support a wide range of development for the employees who deliver training within the airport’s operations. This includes qualifications covering different aspects of training from preparing training programmes, delivering training to groups, one to one training, engaging and supporting learners to Assessor and Internal Verifier qualifications. SQA accreditation has been the preferred option due to the availability and credibility of their qualifications. 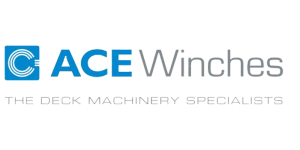 We were appointed to roll out a Train the Trainer programme for the ACE Winch Academy trainers, building skills, confidence and providing practical experience through an intensive three day workshop achieving the Train the Trainer Programme Endorsed by the ILM. We were appointed to roll out a Train the Trainer programme for Pinneys of Scotland’s trainers, focusing on the development of practical training skills. Learners undertook an intensive three day workshop to achieve the Train the Trainer Programme Endorsed by the ILM. Whether a training specialist or supervisors and managers who have to pass on their knowledge to their team members, our ILM Train the Trainer qualification can help enhance or develop their skills. For training specialists we can help them enhance their skills and achieve a qualification. For those new to training, we can take them from novices to people who are confident to train. For people who give presentations or even train groups of people, then they might benefit from training in these areas. We can help with short courses on giving presentations or delivering group training. We can also support employees with wor place assignments so that they can apply their skills back in the work place. We can help you with the training only or we can also assess their competence in this area. Many people need to coach and mentor in the workplace: from specialist trainers to supervisors and managers. This can be organised through a formal in-house programme or it may be skills that employees are expected to use in their day to day work. We can help your employees better understand both skill sets, help them build their knowledge and support them as they apply the knowledge in a practical setting. This is a hands-on, challenging and enjoyable thirty hour programme of development leading to the Train the Trainer Programme Endorsed by the ILM. This qualification is designed for learning and development practitioners who deliver training to groups and/or individuals and who may also have workplace assessment responsibilities. Our advanced online learning platform PLUS enables us to deliver this programme either fully online or in a blended learning manner to suit your needs. This qualification is designed for learning and development practitioners who deliver training to groups. This qualification is designed for learning and development practitioners who deliver training on a one-to-one basis through instruction, demonstration, coaching and mentoring. If you do not want a qualification but you would like a bit more than training only, then we can offer Polaris Learning Certification. We can provide the training in workshops when there is sufficient demand, followed by remote support.